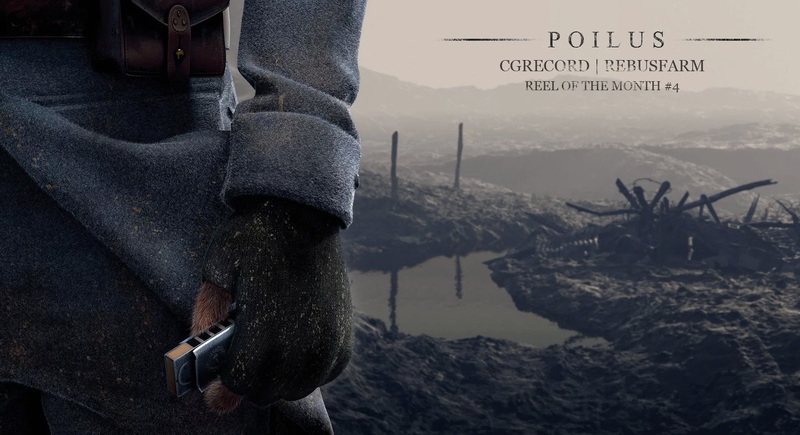 [ #RebusFarm #ROTM ]CG Record and RebusFarm has announced that Poilus short film has won CGRecord | RebusFarm Reel of the Month #4 Award. This is the Graduation Film of Simon Gomez and his Team at ISART DIGITAL - the Video Game and 3D Animation / VFX School. Check out the movie below! 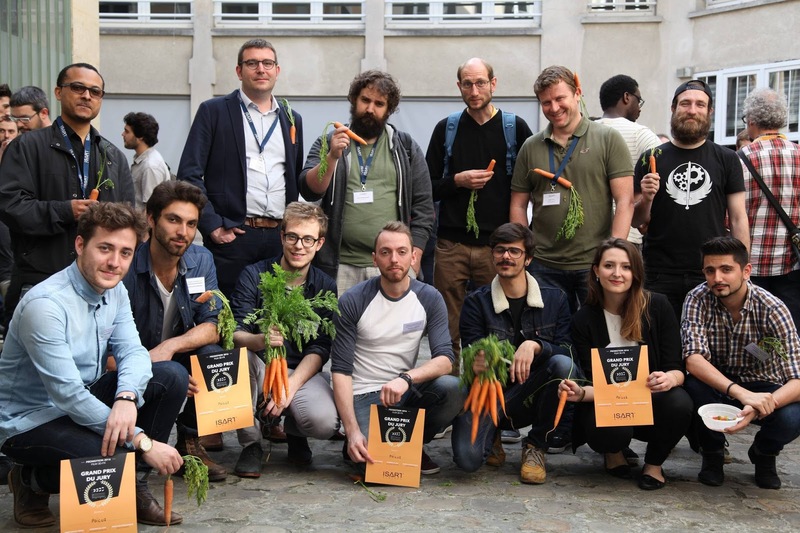 -The team "Poilus" was composed of seven CG students and six sound designers. It took us two years of hard work to make this film, but We did it! Everyone was specialized in differents departments, but We had to cover every parts of a film production (from modeling to rendering) so we had to be polyvalent and efficient. Please tell us about the meaning of story of POILUS 2016 Animated short Film. Where did you got the Idea! -Two years ago, when We began this project, the centenary of the beginning of World War I was commemorated in France. The memory of this terrible conflict, which has marked history, inspired our film. Indeed, this reminder of tragedy gave us the desire to make a film that talks about war. It wasn't easy to deal with this subject because a lot of films about WWI had already been made. Our intention was obviously not to make a realistic and historical documentary but to question the inhumanity behind all wars. To illustrate this conflict between humanity and animality we choose anthropomorphic characters. The choice of hares was natural to us. Indeed, hares live in burrows which are similar to the trenches. Furthermore they are fearful and lively animals that are not renowned for being aggressive or dangerous. It highlights the monstruosity and absurdity of war, We really aimed to point out the dehumanisation of the soldiers, that's why our characters all look the same. To bring those characters and this film to life we had to think about a real pipeline of production. We worked on maya for modeling, rigging, animation, and set dressing. We used a housemade tool to rig automaticaly one character. From the latter we used another tool to generate different clones in order to make the soldiers. We used Yeti to groom our characters quickly because it was a really intuitive workflow. But it was complicated to set up so we had to make a procedural version of the fur for the wide shots and keep the yeti version for the close-up. Marvelous Designer was also an important part of our pipeline because we designed all the cloths of our charaters with this software and made a lot of cloth simulations with it. Finally, we used Guerilla Render for the rendering. It was pretty useful because we worked separatly the assets (texturing in Mari, shading in Guerilla, animation in Maya, groom etc.) and we exported everything to Guerilla as alembic with referenced environment and characters scenes to do the lighting and send shots to the renderfarm. What is most challenge your team had? How your guys to overcome those challenges ? We had several challenges to make this film. Working with fur wasn't easy, it was a lot of exports, of problems to fix and time to spend to and obsiously render times were challenging due to the number of characters, textures, shaders, fur and fog. About 12000 hours of rendering were required to render this film!